The perfect solution for all those awkward little places. From aggressive surface preparation to smooth gleaming finishes, our Bevel, Cup and End Brushes provide the perfect solution for difficult to get places. Designed to use with power drills, angle grinders and machining centres, these all-purpose brushes are ideal for removing paint, scale and corrosion, or giving a bright, smooth finish on profiled surfaces, edges and corners. 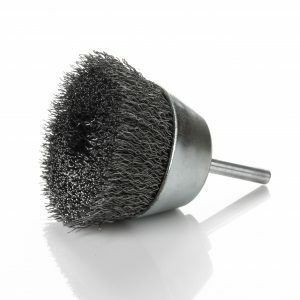 Bevel Brushes are an ingenious combination between Circular Brushes and Cup Brushes, ideal for reaching those harder to reach areas such as inside edges, slots and recesses. Available in RECORD and ULTRA fill configuration for use on angle grinders. 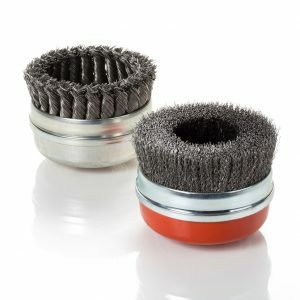 Multi-purpose cup brushes with a plain or threaded arbor hole for the treatment of surfaces, edges and corners. Available in RECORD and ULTRA fill configuration, for use in angle grinders and machining centres. 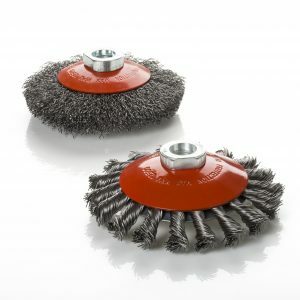 Multi-purpose shaft mounted cup brushes for the treatment of surfaces, edges and corners. 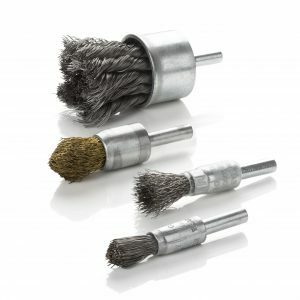 These neat, little brushes are available in ALPHA and RECORD fill configuration for use in electric and air powered tools. 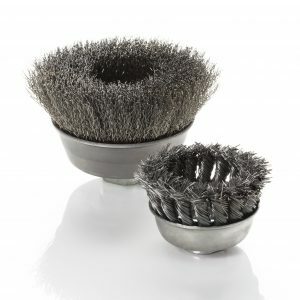 Heavy duty cup brushes featuring an additional support ring to concentrate the brushing action where you need it. Available in ALPHA, RECORD and ULTRA fill configuration, for use in angle grinders and machining centres. Shaft mounted End brushes in flat or pointed trims, ideal for the treatment of corners, holes, recesses and other difficult to reach areas. Available in ALPHA, RECORD and ULTRA fill configuration, for use in electric and air powered tools.